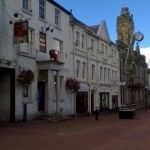 Trying to find pubs in Holywell? You’ve come to the right place. We’ve got every pub and bar in the UK listed. Whether you’re looking for a pub or bar in Holywell to play darts, somewhere to play pool or just want to have a look at a menu before you go, we can help. Packet House in Greenfield has an outside area. Boars Head in Holywell shows football on TV. The pub has terrestrial TV. Red Lion in Holywell serves real ale. Old Wine Vaults in Holywell has a beer garden. The pub has an outside area, it shows live comedy. Old Wine Vaults has a dart board. The pub has DJ's, it has karaoke. Old Wine Vaults has live music events. The pub holds Poker Nights, it has a pool table. Old Wine Vaults holds quiz nights. The pub has a big screen, it shows football on TV. Old Wine Vaults has Sky Sports. The pub has terrestrial TV. Cross Foxes in Holywell has an outside area. Feathers Inn in Holywell has a dart board. The pub has a pool table, it shows football on TV. Stamford Gate Inn in Holywell has a beer garden. The pub has an outside area, it has live music events. Glan Y Afon in Milwr shows football on TV. The pub has terrestrial TV. 16/02/2011 Dirty, rude, terrible atmosphere. 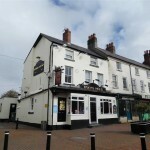 Britannia Inn in Halkyn is a member of Cask Marque. Swan Inn in Rhewl shows football on TV. The pub has terrestrial TV.